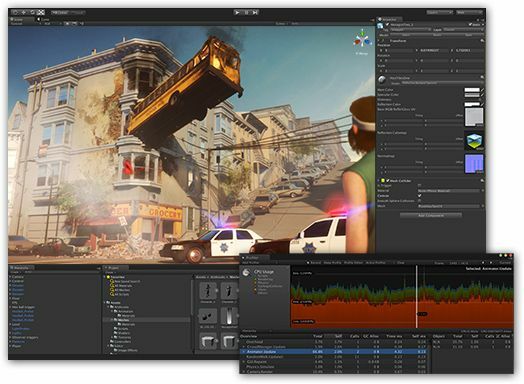 Unity 4 is live, very fast after public beta. Flash export, Linux export, DirectX 11, animation system and loads of cleanup needed are included. Lots of great things in there but a huge one is namespaces in MonoBehaviours. Scripting: MonoBehaviours can now be inside namespaces. Previous to 4, you could have namespaces in dlls/libs you created with the overhead of managing separate dll builds for each platform define, but within the unity project this was not possible. Finally, classes with the same name can be in the same project under different namespaces. Yes their can now be two GameController or UIButton classes if they are in multi game loader and you don’t have to rename them GameShooterController and UIShooterButton, just put them in a namespace, welcome to the future of the past! I prototype lots of games and have a prototype project with helpers that I test many prototypes in, I hate having to name them so specific or devise hierarchies and base classes that facilitate that during prototyping or make a new project for similar naming, just want to see the gameplay and iterate fast. This actually helps that big time. With the asset store and many products using the same class names this is a welcome big change that is lost in all the other new features. Another great feature is supporting Android extra OBB apk files for storage on larger games. (This can also be used in Unity 3.5 via an asset store plugin from Unity. Android: Support for APK Expansion Files (OBBs) – effectively enabling applications larger than 50Mb in the Google Play Store. I don’t see Shuriken full particle system scaling in editor or runtime yet. Shuriken particle system added in 3.5 is much nicer but scaling the systems is more difficult, not all properties were exposed to do that easily outside of the editor (like scaling at runtime). There is a Particle Scaler asset on the store that scales all the internals nicely but having this as a feature is needed yesterday. One project I worked on with loaded asset bundles at different scales had this problem and caused lots of rework scaling up the systems to work at the correct scale in the base app using the bundles. Unity is a great system and there are lots of great changes in Unity 4, cleanup being some of the best of them. It has flaws but it makes up for it in intense help on shipping and getting to all platforms. It is a mammoth task to democratize game development and support so many platforms and developer types. Pick it up! I have to figure out the best time to upgrade and move all current projects to it. I guess the holiday tasks are identified. This entry was posted on Wednesday, November 14th, 2012 at 10:24 am	and is filed under 3D ENGINES, TECHNOLOGY. You can follow any responses to this entry through the RSS 2.0 feed. Both comments and pings are currently closed.